In crevices and gravelly soil on exposed rock outcrops, often in sunny seasonally moist areas with thin soils. A species disjunct in range from farther west. 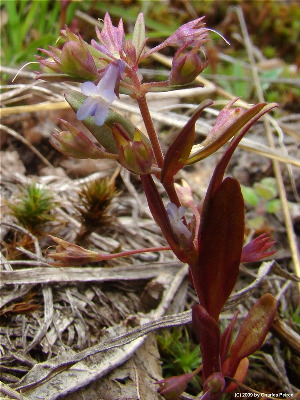 Collected in “weedy sand barrens” in Schoolcraft Co. (W. T. Gillis 2455 in 1958, MSC), and the recent Mackinac County collection is from bare areas in a campground. MICHIGAN FLORA ONLINE. A. A. Reznicek, E. G. Voss, & B. S. Walters. February 2011. University of Michigan. Web. 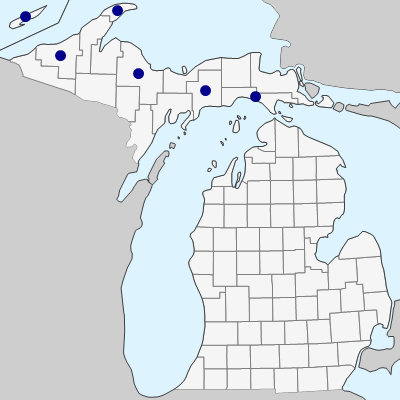 April 19, 2019. https://michiganflora.net/species.aspx?id=1937.